Are You Sparking Engagement in the Workplace? As always, employee engagement is a hot topic in the business world so #TChat decided to tackle this topic in last Wednesday’s chat. In this chat, the contributors and #TChat ambassadors took the time to really consider what engagement is, what sparks engagement, and what differences it would make for employees and the workplace as a whole. First, what is engagement? Employee engagement is a management concept that believes if an employee is fully involved in and passionate about their work/job roles, they will contribute in a way that will be in an organization’s best interest. 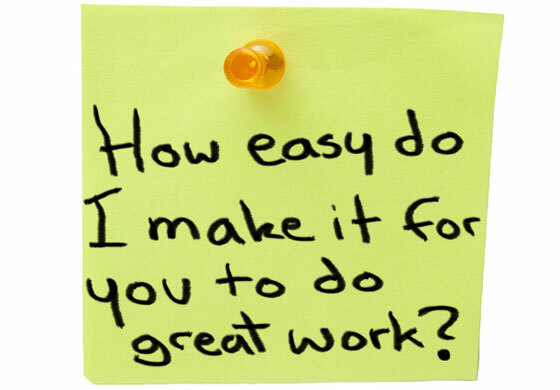 Employees will work hard to help the organization progress and succeed. This engagement is considered to be measurable in a sense that an employee’s attitude and feelings can influence their willingness to learn, grow, and perform in a way that will benefit the organization. In a manager’s eyes, this is a dream come true. However, the reality of the situation is that many employees aren’t as engaged as management would hope. Why is this and how can we change this? Failure is ok: Trust in your employees, allow them to fail, and forgive them for their failures. The important thing is to allow then to try something that might be pushing their comfort zone. And most importantly, help them understand and learn from these failures. This can allow them to succeed in the future. Remember “follow the leader”: Management and leaders need to be engaged, also. Employees look up to managers and leaders for guidance, for a connection, and to understand where they stand in the organization. It’s important for managers and leaders to have certain energy to them, display engagement and passion, and try to fuel engagement in employees by example. After all, to an employee, it’s not a good sign if their manager seems disengaged themselves. Be there for your employees: the fastest way to understand what engages your employees is to recognize that each employee is different and require individual needs. Take the time to see how your employee thinks, feels, and processes different situations/information. From there, ask the employee how you can help them. Too often, management/leaders assume that every employee will respond to one course of action meant to engage them. This is not true. Remember that they are individuals and take the time to help them with their individual needs. It will make a difference. Create a connection: stop with the suggestion boxes and anonymous surveys. It’s impersonal and quite honestly, you will never get the in depth information you need to truly understand how to engage your employees. Open up the ability to connect with your employees by having a real conversation with them. Listen, be open, make them feel comfortable, and be willing to get down to the core of the situation. To understand employees’ needs for engagement, you have to communicate. A piece of paper isn’t going to help you get the best response. What steps are you taking to engage your employees? Do you realize that every one of them may have a different need? If so, what are you doing to ensure that you are taking the time to understand each of their individual needs? How are you helping them get the support they need to reach their highest level of engagement? Think about it. If you enjoy topics like this, be sure to check out #TChat on Twitter on Wednesday at 7pm EST.